Community at Christmas: What's going on? The holidays can be one of the loneliest times of the year, with almost a million older people saying they feel lonelier at Christmas. Over the last couple of weeks the Old Vic theatre has been running carol concerts with groups of older people and children from the local area. The daily concerts have been a way to tackle isolation and unite different generations in the community. St Luke’s Community Centre based in Hoxton is open on Christmas day and will be serving a traditional dinner with all the trimmings. This is perfect for anyone looking to get out the house and spend the day with friends and neighbours, and they can even provide transport for anyone living in south Islington. 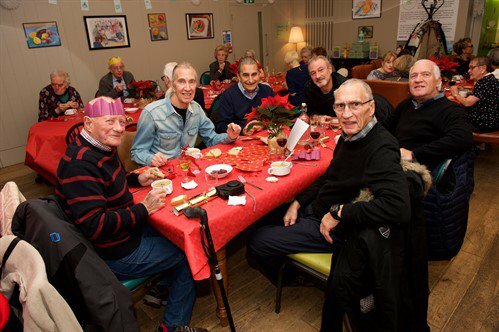 Now in its eighth year, Companionship at Christmas is run by Abbeyfield Care Homes. It encourages Abbeyfield homes all across the country to open up their events to any older people living in the community who might want to join in. They rely on volunteers and donations to roll out the project in as many places as possible, check out their website if you’d like to learn more. Community Christmas provide support and guidance to anyone looking to host an open event on Christmas day. Their mission is to make sure no older person in the UK spends Christmas on their own. They give out information to on how to run lunches, film viewings or parties which are then advertised to older people living in that area. Click here to find out more.